Prince Percydal was cursed and turned into a frog, a kiss of his love, princess Repunzel, is the only way to save him, but it won’t be easy to find her… Take on an exciting adventure, as Alice, an amateur witch, or as Percydal, a prince turned into a frog! Percy’s curse can only be broken by a kiss of his loved one – princess Rapunzel, and it is up to you to find her! Get ready, road to the princess won’t be an easy one! 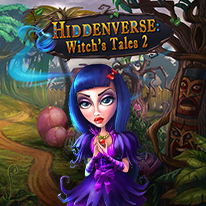 - An exciting story with hidden object and match3 puzzles, occurring in picturesque fairy tale locations.